LumiThera is committed to creating a brighter horizon for patients by developing treatment solutions to improve visual function, stop or slow the progression of debilitating eye diseases and prevent vision loss and blindness. 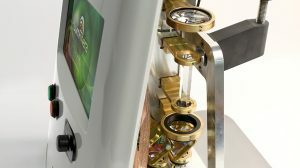 Our team of clinicians, scientists and engineers, well-versed in the benefits of photobiomodulation, recognized that no treatment solution existed for the Dry AMD patient population and that there are unmet medical needs for other debilitating acute and chronic ocular diseases and disorders. Together, we created the award-winning Valeda™ Light Delivery System. Valeda is currently CE Marked in the European Union. Valeda is in clinical trials and not approved for use in the United States. LumiThera was recognized as “The Most Innovative And Promising Medtech & E-Health Company” at the 2017 Biovision Conference in Lyon, France. 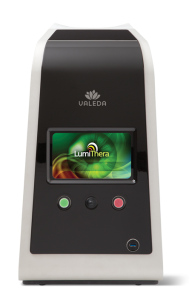 The Valeda Light Delivery System (LT-300) was awarded the 2016 MD&M West Innovation Prize. Clark E. Tedford, Ph.D. is a co-founder of LumiThera and has served as President and CEO since the formation of the Company in 2013. Previously Dr. Tedford was Vice President and Chief Science Officer at PhotoThera, a leading LED/laser company from 2010-2012. Prior to PhotoThera, Dr. Tedford was at Omeros from 2003-2010 as Vice President, Pharmaceutical Research. Prior to Omeros, Dr. Tedford was President of Solentix, Inc. During Dr. Tedford’s 30 years in the pharmaceutical and medical device industry, he has held several scientific and executive management positions from 1993-2003 including Executive Vice President of Research and Development for Gliatech, Inc. Prior to that Dr. Tedford was at Schering-Plough Research Institute as a Principal Scientist. Dr. Tedford earned his Ph.D. in pharmacology from the University of Iowa and completed his post-doctoral work in the Department of Pharmacology at the Loyola University Medical School. Cindy L. Croissant is the Vice President of Clinical Operations at LumiThera. Prior to LumiThera, Ms. Croissant was the Senior Director of Clinical Operations at Vital Therapies, Senior Director of Clinical Operations and Project Management at Aeolus Pharmaceuticals, Director of Clinical Operations at PhotoThera, and Clinical Proposal Manager and Clinical Operations Manager at PAREXEL. Ms. Croissant has 25+ years of clinical research and industry experience including phase I-IV drug, device and biologics trials. Therapeutic areas include ophthalmology, hepatology, radiation exposure, neurology, oncology, dermatology, and dentistry. Ms. Croissant earned a Bachelor of Science in Business Administration and Bachelor of Science in Psychology from Colorado State University and a Masters of Business Administration from Regis University. Robert J. Bard is a consultant, acting Vice President of Quality and Regulatory Affairs at LumiThera. 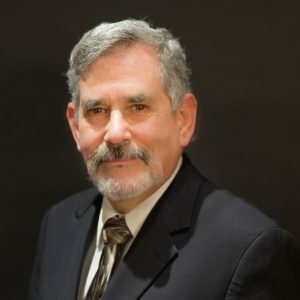 Prior to LumiThera, Mr. Bard has been the Managing Director at HealthCare Technologies Consultants LLC, the Vice President of Regulatory and Quality Systems at Sciele Pharma and the Vice President of Regulatory and Clinical Affairs and Quality Assurance at Aastrom Biosciences. Mr. Bard has 42 years of compliance, ethics, legal and regulatory affairs, quality control, quality assurance, clinical affairs and development, and manufacturing and operations experience in pharmaceuticals, devices, biotech and biologics industries. Therapeutic areas include ophthalmology, hematology, orthopedics, infusion therapy and pain management, neurology, oncology, dermatology, regenerative medicine and monoclonal antibiotic therapeutics. Mr. Bard earned a Bachelor of Science in Microbiology from the University of California (Los Angeles) and a Juris Doctorate from American College of Law. Mr. Bard is a member of the California Bar and is certified as a Regulatory Professional by the Regulatory Affairs Professional Society and a Certified Quality Engineer by the American Society for Quality. Scott Bradley is the Senior Director of Product Development at LumiThera. 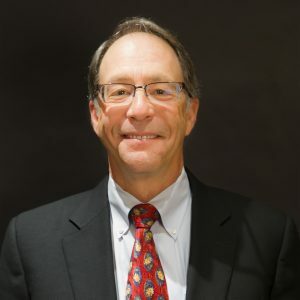 Prior to LumiThera, Mr. Bradley was the Senior Director of Product Development at Vital Therapies, Director of Product Development at PhotoThera, and a program management consultant to medical device and in-vitro diagnostic companies. Mr. Bradley has 24 years of experience including engineering design and program management for research, clinical trial, and commercial device development. Therapeutic areas include ophthalmology, oncology, hepatology, neurology and dentistry. Mr. Bradley earned a Bachelor of Science, Mechanical Engineering from Colorado State University and is the coauthor of 10 issued patents. Duane R. Morrison is the Vice President of Sales at LumiThera. 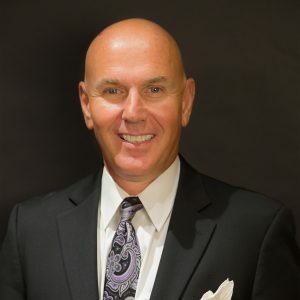 Mr. Morrison has over 30 years of experience in business development and a 20 plus year track record in executive management in the eye care industry. His expertise is in commercial market development, sales and operations in the product and service areas of the eyecare health sector. 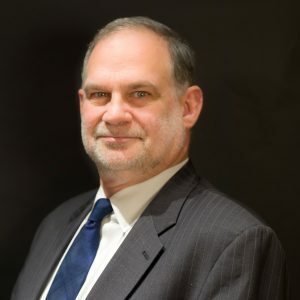 Mr. Morrison has been a key executive in the development of organizations from the ground up including strategic planning, operational excellence, and development of sales organizations. He has held senior leadership positions with TLC Vision Corporation and TearLab Corporation. 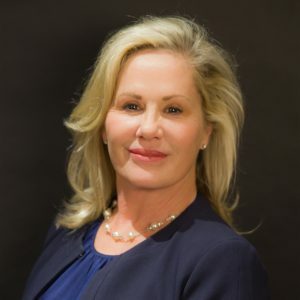 Tracy C. Puckett is the acting Vice President of Marketing for LumiThera. Mrs. Puckett has been the Principal of Trinity Fair Consulting Group since 2015. Ms. Puckett has global brand strategy and product launch experience in packaged goods, medical device and pharmaceutical products. 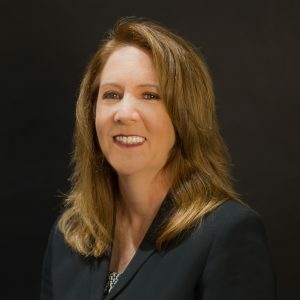 Prior to forming her own consultancy, she served as Vice President of Marketing at TearLab Corporation, Executive Director of Branding at Alimera Sciences and Executive Director of US Marketing at Novartis Ophthalmics. Mrs. Puckett managed the Novartis Ophthalmics account at Adair-Greene prior to joining Novartis Ophthalmics. International consumer experience was achieved at McCann-Erickson in Moscow, Russia, a multi-national advertising agency where she headed a New Business team and served as Group Account Supervisor for a diverse brand team, managing clients such as Johnson & Johnson, Nestle, and Gillette. Throughout her career, she has successfully built sustainable brand propositions which met company P&L objectives. She earned a Bachelor of Science in Psychology from Georgia Southern University. Arthur Taylor has been a LumiThera Board member since 2015 and currently sits on the Boards of four other venture capital-backed medical device companies. Mr. Taylor was Chairman of the Board of Transcend Medical, Inc., a clinical stage venture capital backed company focused on the development of medical devices for the treatment of glaucoma. Transcend was acquired by Novartis/Alcon in March 2016. Previously, Mr. Taylor was President, Chief Operating Officer, CFO, and Chairman of the Board of Topera, Inc., an electrophysiology medical device and diagnostics company, which was acquired by Abbott Labs in December 2014. Prior to that, he was President and CEO of PhotoThera, a clinical-stage company using photobiomodulation to treat ischemic strokes. Prior to that, he was VP-General Manager of the Kyphon Business of Medtronic, Inc. At Kyphon, Mr. Taylor was COO and CFO up until the acquisition by Medtronic in 2007. 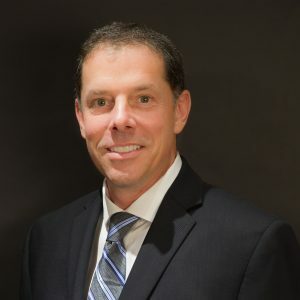 Mr. Taylor also served in several executive financial positions over fourteen years with Allergan, Inc. Mr. Taylor earned a Bachelor of Science degree from San Diego State University and a Masters of Business Administration from the University of Southern California. Yang Yigang is a Board Member of LumiThera and the Founding Partner and CEO of WaterStone Capital Limited. 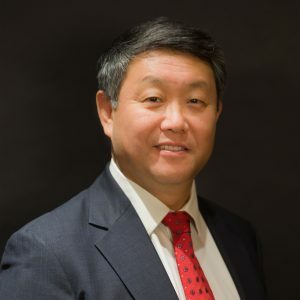 Mr. Yang also serves on the board of directors of Robotic Vision Technology Inc. and Seattle Gummy Company, and previously served on the board of directors of Buderim Group Limited, an Australian public company. Prior to founding WaterStone, he was the CEO of COFCO Agricultural Industrial Investment Fund Management Co., Ltd. In early 2011, he founded Danmeng Contemporary Arts Investment Co., Ltd., and acted as its Chairman of the Board. In 2009, Mr. Yang was the President of Tianjin Yanshan Capital Management Co., Ltd., where he established the first Chinese Leasing Fund. He also served on the board of directors of Tianjin Bohai Leasing Co., Ltd., a Chinese public company. From 1994 to 2009, Mr. Yang worked in New York as Managing Director for Asia Capital Group, Managing Director for Capital Market Engineering and Trade LLC, and Vice President for Credit Suisse First Boston. Prior to transferring from Credit Suisse China to Credit Suisse First Boston in New York, Mr. Yang was the Chief Credit Officer at Credit Suisse Beijing Representative Office. Mr. Yang is a Member of the Investment Adviser Group of the F50, a Silicon Valley Investment Fund, Judge of the National Technology Competition hosted by the Ministry of Science and Technology of China, and Chief investment consultant of The Inner Mongolian Prairie Ecology Industry Investment Co., Ltd. Mr. Yang received his bachelor degree of Finance from Capital University of Economics and Business in Beijing. Carina Cao is a board observer of LumiThera and a co-founder and managing partner of WaterStar Capital Limited. (“WaterStar”). She manages all WaterStar’s capital markets and investment activities and oversees its daily operations. 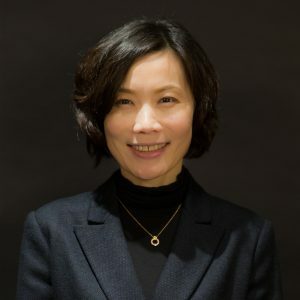 Since WaterStar was founded in 2015, Ms. Cao has been responsible for fundraising, deal transactions, post-investment management, exit strategies, compliance, and risk control. Ms. Cao has comprehensive experiences in operating fund management companies, including fund structure design, domestic and international deal source, valuation analysis, Due Diligence, Overseas Direct Investment application, deals and funds exit planning and executions. Ms. Cao also serves as Board Members for WaterStar-invested domestic and international enterprises. At LumiThera, we are proud of our innovations and the work we do every day to find solutions to unmet patient needs. We believe in creating a collaborative environment where every employee contributes to the success of the company.